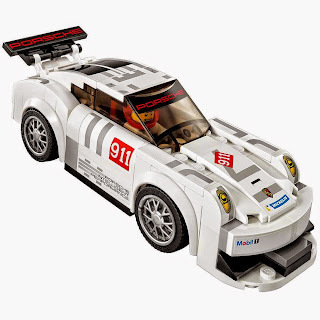 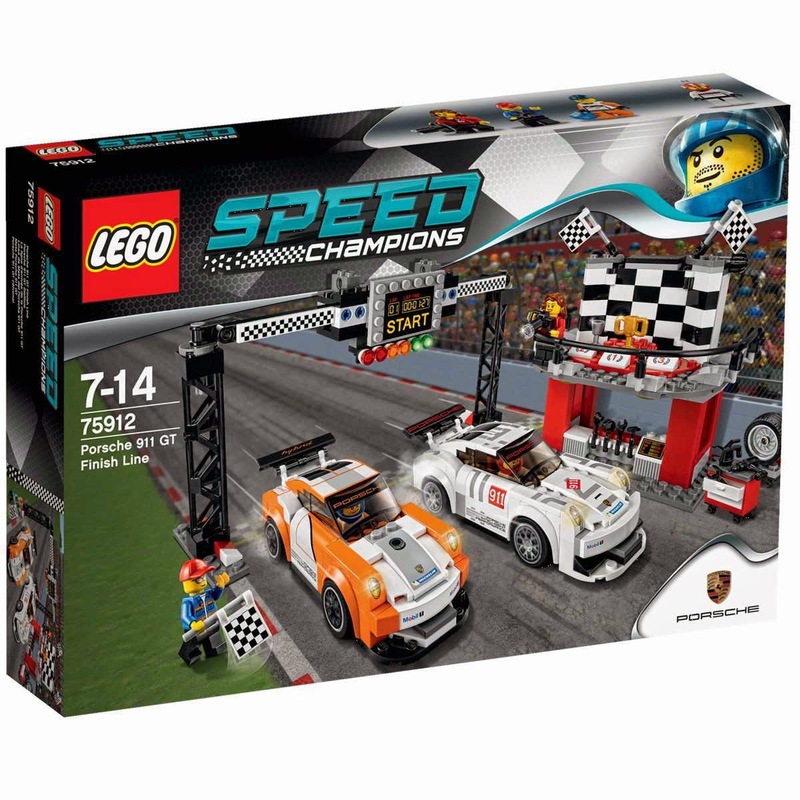 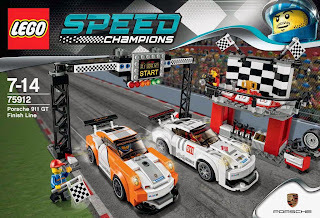 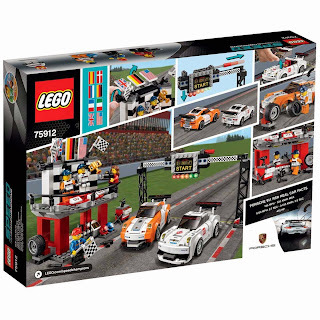 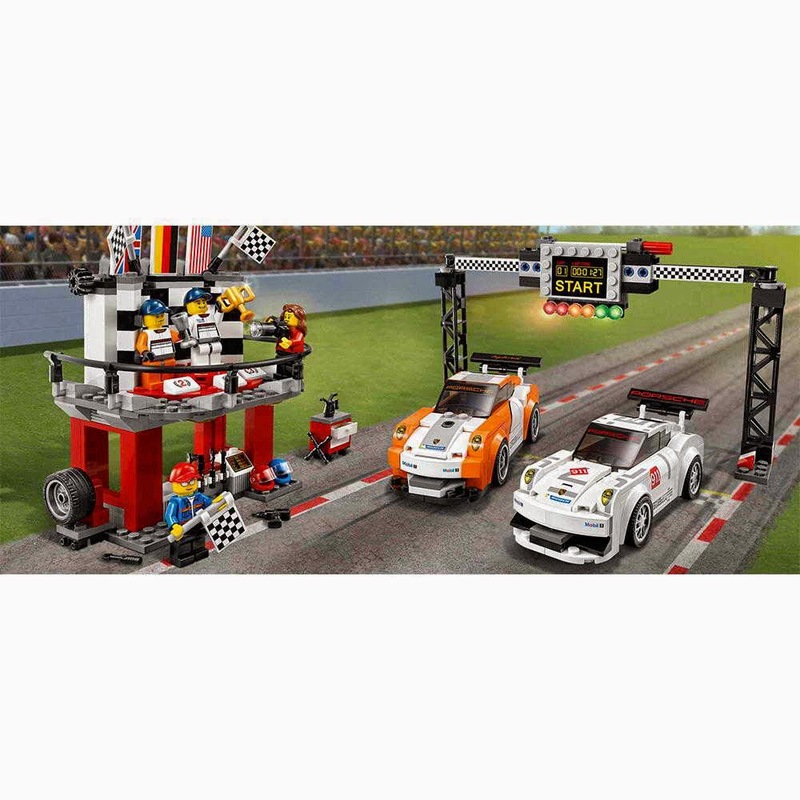 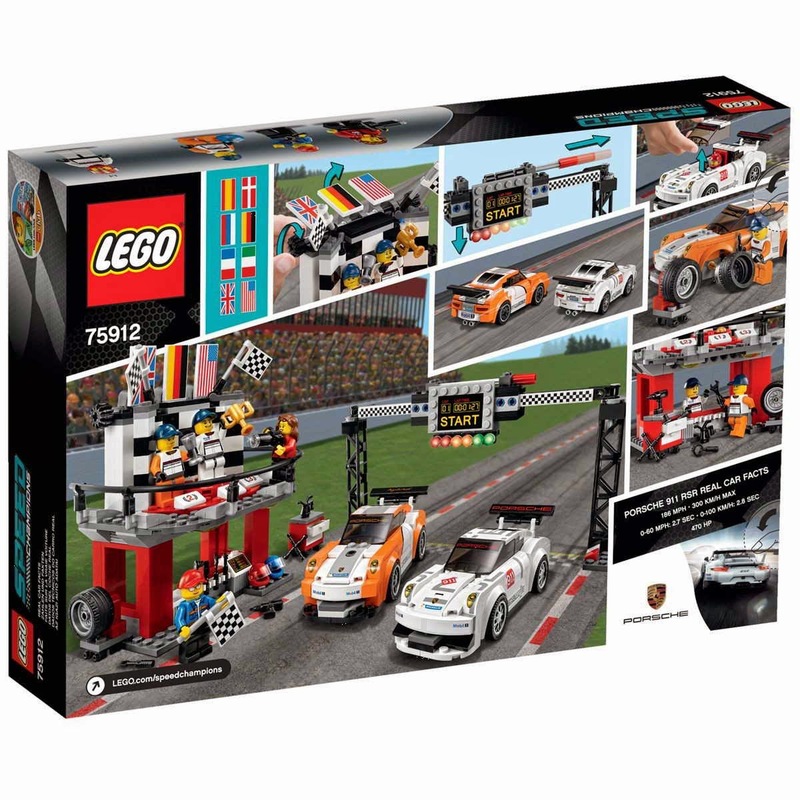 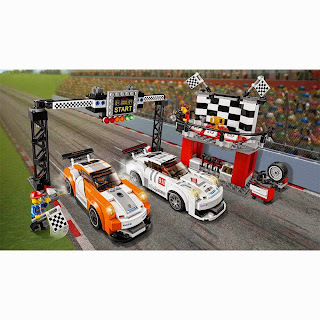 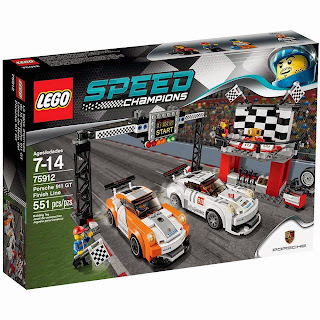 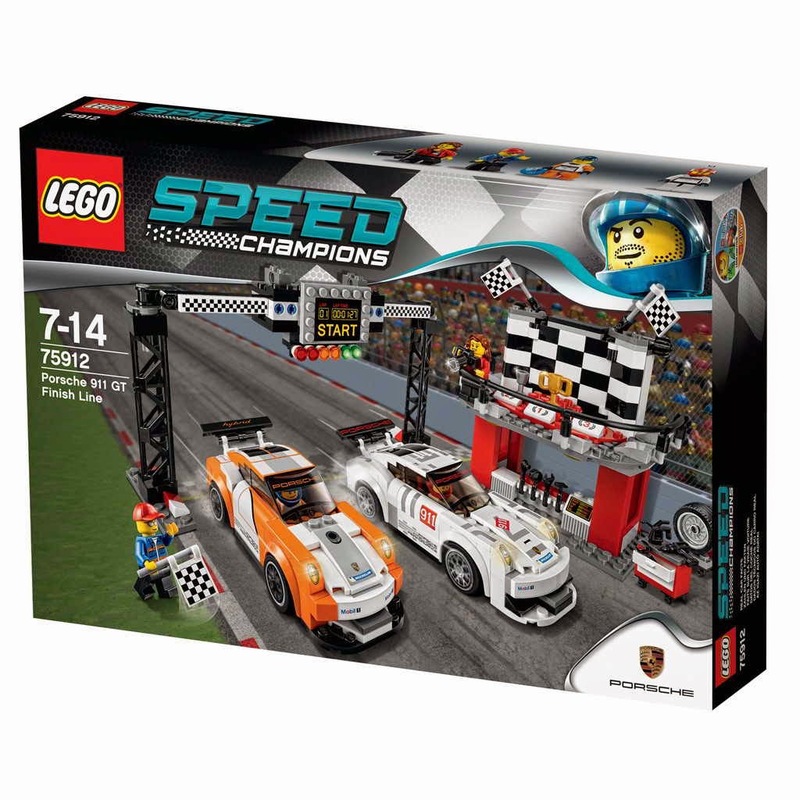 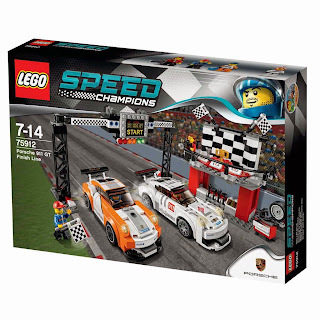 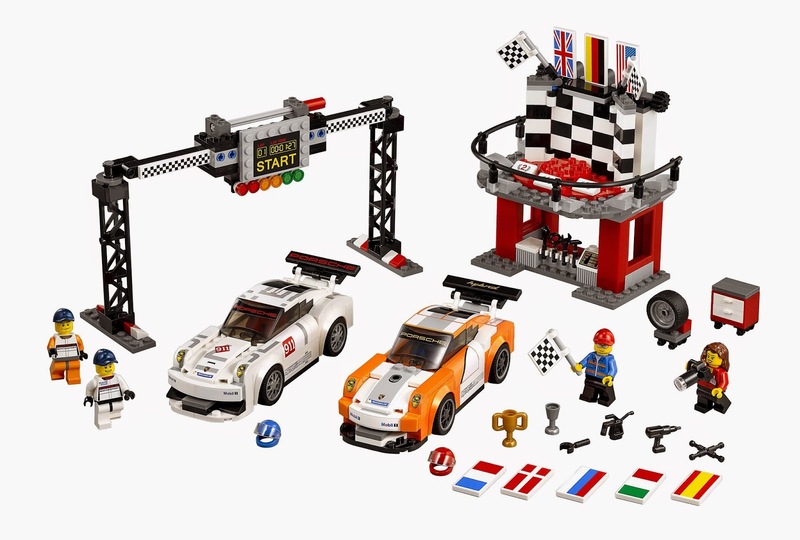 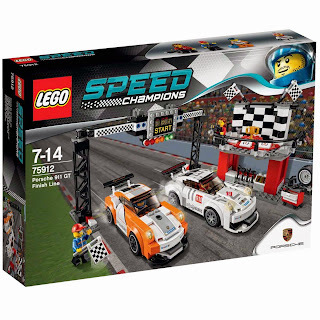 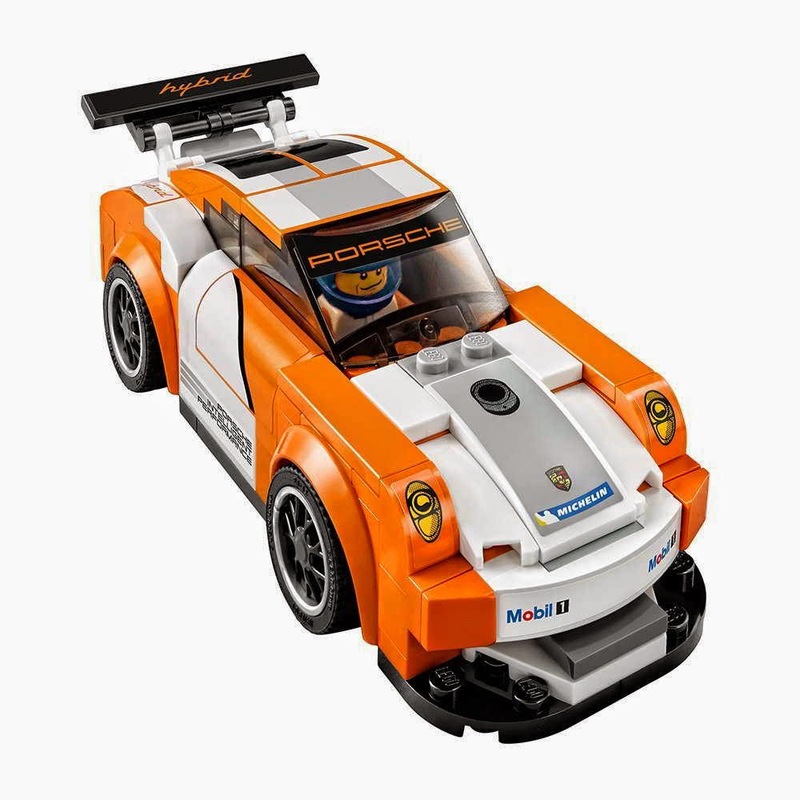 come with 2 porsche 911 gt race cars, a start finish line and a podium mini garage. the cars has removable windscreen, driver cockpit and unique porsche wheel trim. the start finish line has race starting lights function. 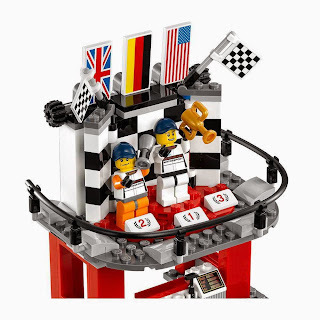 the podium has national flag rising function, 8 national flags: denmark, france, germany, italy, russia, spain, uk and usa, 2 checkered flags and winner, second and third position podium. 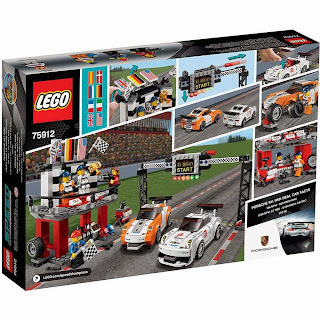 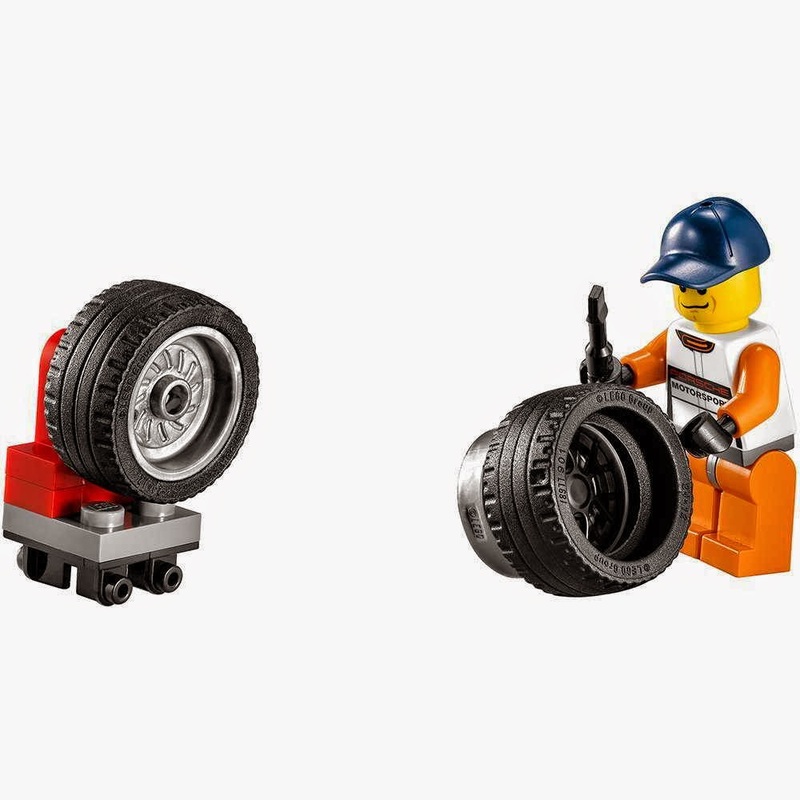 minifigs included 2 porsche driver minifigs, a camerawoman minifig and a race marshal minifig.